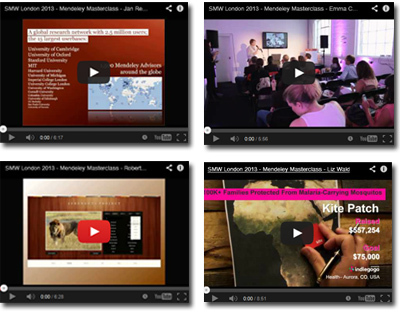 CPAC courses are often used by community-living organizations operating within states. This arrangement reduces the per-person cost of CPAC by covering all Medicaid beneficiaries within the state. Meanwhile, it saves the state and Medicaid money, trains the workforce to a much higher standard and increases the outcomes of the Medicaid beneficiaries. The royalties from sales going to UCSF and the Community Living Policy Center go back into developing more content and keeping content current with best practices. In this way, DirectCourse content is designed to be self-sustaining. For inquires on using this course, Visit the DirectCourse website. 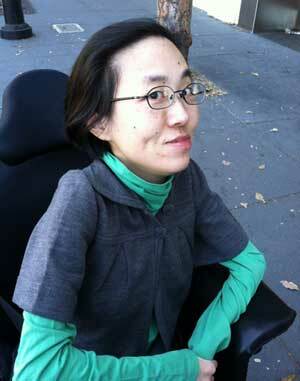 When Alice Wong turned 18, she began to receive personal care services through Medicaid. Born with a neuromuscular disability, she had relied on her family to help her with her personal care needs. Though she was excited to live independently, she was also confronted with the challenge of having to hire and fire and manage her home-care workers. "It was a real learning curve for me, and I imagine it must have been for my providers," Wong said. 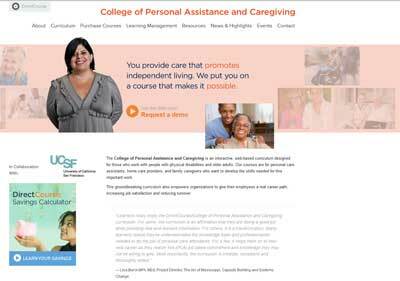 Her experience using consumer-directed personal assistance services has informed her work as a Staff Research Associate at the Community Living Policy Center at the University of California, San Francisco (UCSF), and in the writing of many courses for DirectCourse's College of Personal Assistance and Caregiving (CPAC), an interactive, web-based curriculum designed for those who work with people with physical disabilities and older adults. "I know that many home care providers need to understand the relationship between them and the people for whom they work," Wong said. "Just because a person with a disability needs help getting in and out of bed, it doesn't mean they are incapable of being a responsible employer who can train and select their own providers. In my opinion, people with disabilities are experts in what works best for them, not a home care provider, nurse or doctor." Wong is one of CPAC's best writers, and her skills and background are helping Elsevier develop a remarkable curriculum. In fact, her work was recently recognized when President Obama invited her to serve on the National Council on Disability. Her skills — and those being taught in the CPAC courses — will be needed more and more in the years to come. In the United States, the number of people 65 years or older is expected to increase from 39.6 million in 2009 to 72.1 million in 2030, according to the Administration for Community Living. After a long history with the DirectCourse/College of Direct Support (CDS) – a curriculum focused on the workforce supporting persons with developmental and intellectual disabilities – it became apparent that there was a need to expand CDS to be able to address older adults and persons with disabilities directly. In addition to helping train people who use personal assistance services, there was also a growing need to address the needs of the elderly; over 10,000 individuals turn 65 every day, making up over a quarter of the entire population, according to a report by the Pew Research Center. Six years ago, Elsevier began researching, writing and planning. Once there was an information-based foundation, they approached the CDS content partners at the University of Minnesota, who began to plan the curriculum together. However, the university knew that UCSF was a specifically funded research group for personal assistance services. As home care expands, family members are finding themselves in the challenging role of assisting their loved ones, often full-time, and need a convenient method to become trained caregivers. 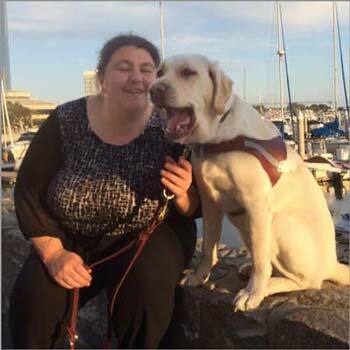 In addition, many people with disabilities are taking charge of hiring personal assistants themselves, and are seeking ways to distinguish the best care possible. To date, CPAC offers nine courses, designed by the Center for Personal Assistance Services at UCSF in collaboration with the University of Minnesota's Research and Training Center and Elsevier. UCSF is guided by their renowned National Advisory Board and has been twice funded in five-year grant periods by the National Institute on Disability and Rehabilitation Research (NIDRR). Mike Oxford is the Executive Director of the Topeka Independent Living Resource Center (TILRC), and he worked diligently to bring CPAC to Kansas to help with their training needs. He explained that based on Federal statutes, they are required to provide core services, including information and referral, peer counseling, advocacy, and independent living skills like learning to ride public transit and budget for expenses. When managed care systems began in Kansas, they became interested in training, and Oxford convinced the largest managed care company in Kansas to contract with TILRC and use CPAC. Oxford said about 40% of the people they serve now have access to free training. "CPAC is a great curriculum with basic information that works well with in-person follow-up," he said. "In fact, our staff uses CPAC. Over time, it'll end up being picked up by the state and/or all the managed care companies. CPAC is that good and that useful." Mississippi is also experiencing success with CPAC. The ARC of Mississippi was the first organization to partner with CPAC to address its training needs. With the federal government's Money Follows the Person waivers, whose purpose is to help fund individuals' transition away from institutionalized care to community-based care, and a Balancing Incentives grant, which helped the state acquire rebates to help offset the cost of systems change, the money was in place to help train people. Thus, the process began to turn Mississippi into state with more a community-based support. "Mississippi has a higher rate of institutionalization than any other state," said Lisa Burck, Program Director for Capacity Building and Systems Change. The Arc was eager to incorporate the CPAC curriculum, having used the CDS curriculum for a decade. The Arc uses both CDS and CPAC courses, taking sections of each and incorporating them into customized courses, according to waiver and year. After adapting these to meet the Medicaid requirements, it was delivered to learners in Mississippi. "CPAC is extraordinarily practical," Burck added. "The 24/7/365 availability is a must for The Arc." Along with the nine courses CPAC currently has, we're developing two to three courses each year, with plans for many more the future. These online courses are developed at the University of California, San Francisco with technical support by Elsevier. [pullquote align="right"]Our curriculum helps home-care providers understand the relationship between the person with a disability – that they're not 'taking care of them' but rather working for and receiving direction from the person. — Alice Wong[/pullquote]Currently, UCSF is developing a Dementia Care course for CPAC, and plan to address the following subjects in a variety of courses: depression, dehydration, fitness and physical activity, bowel and bladder care, end of life care and many more. "CPAC is a unique curriculum since it emphasizes consumer-direction and is geared for providers who work for people with physical disabilities and older adults," Wong said. "Every course emphasizes the person with a disability is the one in charge of his or her care, not a nurse or a home health agency, even if the agency is the actual employer of record. Our curriculum helps home-care providers understand the relationship between the person with a disability – that they're not taking care of them but rather working for and receiving direction from the person." Tom Carpenter is a Product Manager for Elsevier's MC Strategies. He joined in 1997 as Director of Media Development to provide multimedia support for the Content Development and Marketing departments from the Knoxville, Tennessee office. In 2001, he participated in the initial formation and media development of the College of Direct Support (CDS). Since 2006, Tom has been instrumental in the expansion of CDS to other disability curricula under the Elsevier/DirectCourse brand. He developed business cases for the College of Employment Services (CES), the College of Personal Assistance & Caregiving (CPAC) and the College of Recovery and Community Inclusion (CRCI). He currently serves as Product Manager for the CPAC and CES curricula under Elsevier's DirectCourse brand.